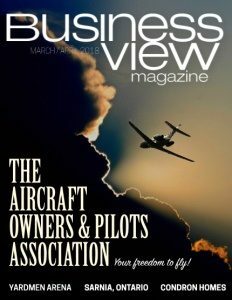 Business View Magazine interviews George Tadros, Co-Owner of Amtel T-Mobile Retailer, as part of our focus on best practices in telecommunications. George Tadros and Ehab “Eddie” Sweis, co-owners of Amtel, one of the fastest growing T-Mobile Premium Retailers in the country, headquartered in Grapevine, Texas, have been in the wireless business since 2001. It all began in Chicago in 2001, where Ehab Sweis launched multiple stores fueled by only a 50 percent stake per location. In 2003, longtime friend George Tadros and Ehab Sweis combined forces to set out on a journey to discover opportunities in the wireless business as owner-operators of multi-carrier (providing services of multiple wireless carriers) retail locations. During the first four years, Ehab and George, in partnership with a local industry giant, opened a combined 24 wireless retail stores throughout metropolitan Chicago. During this venture experience, the two entrepreneurs gained a keen understanding of real estate, retail, and overall operations of the business. Their knowledge and experience resulted in their 24 stores comprising 80 percent of the core business. This was a significant feat, considering that the multi-carrier sector had more than 100 locations spread across Chicago. 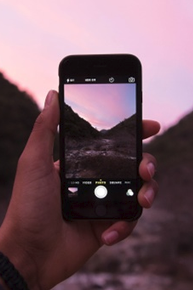 In 2005, T-Mobile realized that it had to meet increasing consumer demands for a more professional retail experience and reached out to some of the best wireless operations in the business. George and Ehab were among the few to be offered an opportunity to open Exclusive T-Mobile retail locations in a program designed to deliver precisely the same experience customers could find in its corporate stores – the same fixtures, products, services, and atmosphere. The program marked the beginning of the pair’s exclusive relationship with T-Mobile. This opportunity also provided the two entrepreneurs to take their business to the next level. As market developers over the next three years, Sweis and Tadros owned rights to a portion of their parent company’s 110 location portfolio. “Between 2005 and 2009, partnering with another company headquartered in Michigan, we opened up about 125 Exclusive stores for T-Mobile,” says Tadros. During the same time, they played a crucial role in assisting T-Mobile in launching a new program, T-Mobile Premium Retail Partner (TPR). This program was initially designed to manage T-Mobile’s corporate retail markets. Under their leadership, the previously corporate-owned retail locations doubled their sales in the first month, while increasing customer satisfaction. Over the next few years, Amtel rapidly expanded and opened a total of three locations in the Dallas/Ft. Worth area. Simultaneously, the company expanded its footprint as a Nation Account in San Francisco, Sacramento, Cincinnati, Louisville, Houston, San Antonio Boston and most recently, New York. With an ambition to become the number one TPR for T-Mobile, George Tadros and Sweis grew organically and also acquired several businesses along the way. 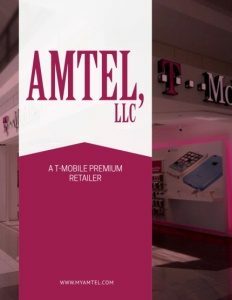 While doing so, Amtel continued to operate as a T-Mobile Premium Retailer. Today, Amtel has about 800 employees nationwide, and is one of T-Mobile’s largest TPR partners, operating over 150 locations nationwide. “For us, it’s not quantity; it’s quality,” Tadros stresses. “A lot of partners who are new to the business will try to get in the TPR program and open up a location that they don’t know much about, and they don’t succeed. Or they don’t want to invest in their infrastructure. Or they don’t have a big back end – they don’t have a training department, a customer relations department, or human resources. We have an extensive, back-end infrastructure; what we have today can support 250 to 300 stores.” In addition, a focus on training their team members how to deliver best in class customer service is what Tadros believes is a differentiator between Amtel stores versus that of their competitors. But Amtel, LLC has always been more than “just” wireless retail people; in fact, they have always been the best in the business. Check out this handpicked feature on Long View RV SuperStores – Let the good times roll.